When creating a large Jenkins setup, it is often a good idea to consider have a team governing, documenting, and managing the tools a little. These teams almost always require a clear support channel, otherwise everything becomes tribal knowledge, and that is not going to scale well. When a large number of teams with a similarly large number of software development stacks starts to use it. Then it becomes relevant with being able to support the systems by providing a clear and obvious support-channel. A common channel for issue-management is JIRA, which ironically started as an ITSM-platform. And another common place to store documentation is whatever source-control platform you have available, such as GitHub Pages, Wikimedia or Confluence. So i would like to show how to include custom-integration in the Jenkins header directly into those tools. Extract the link in the markup JIRA wants you to embed. Fill in Issue Collector URL: with the collector-link from the previous step. If you want you can include custom styling to the buttons in the simple theme css box. I used the following to achieve the looks below. And voila! You have opened a support channel directly from your Jenkins header into your documentation and added support for adding JIRA issues directly into your JIRA project! 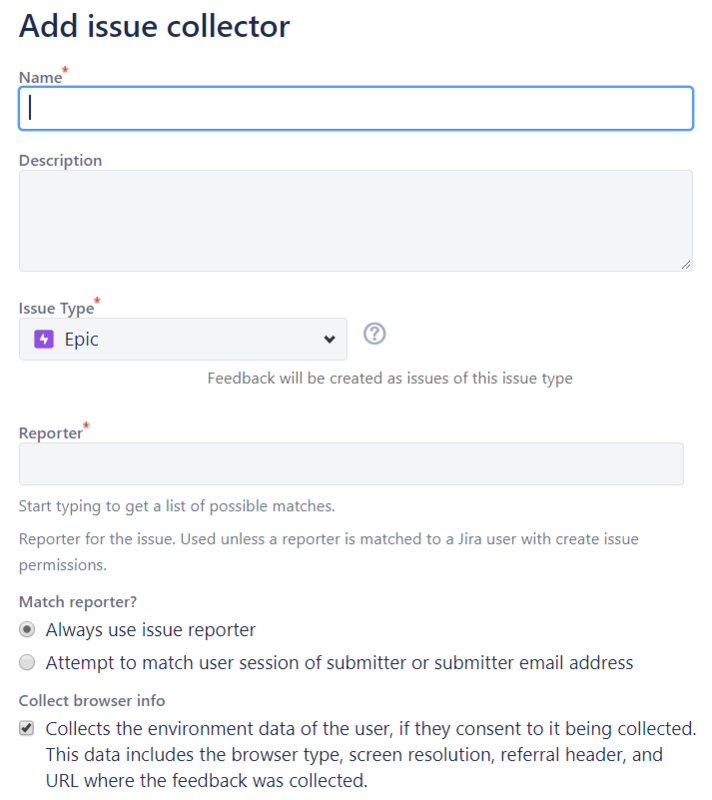 Clicking the Report an issue! 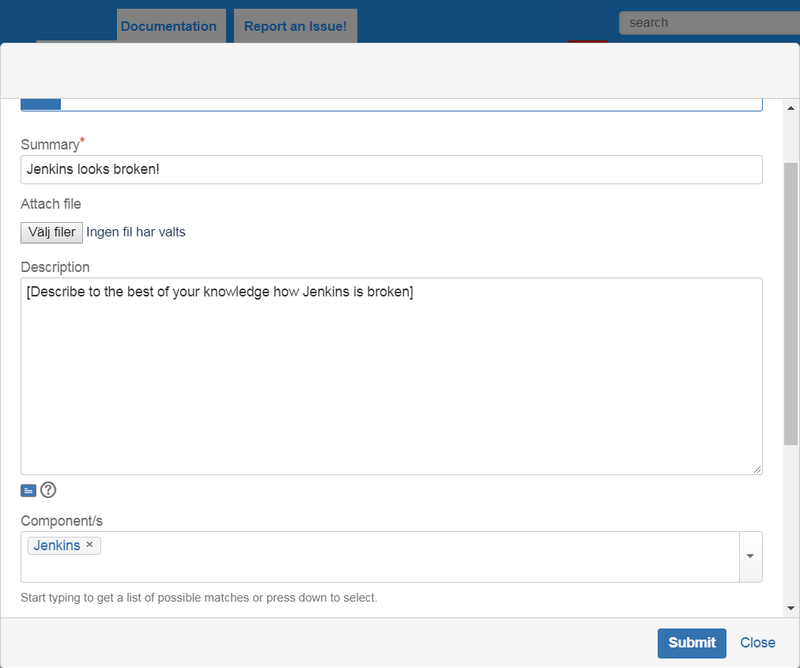 will open a JIRA Modal and allow your users to fill in a support issue as their own JIRA users. 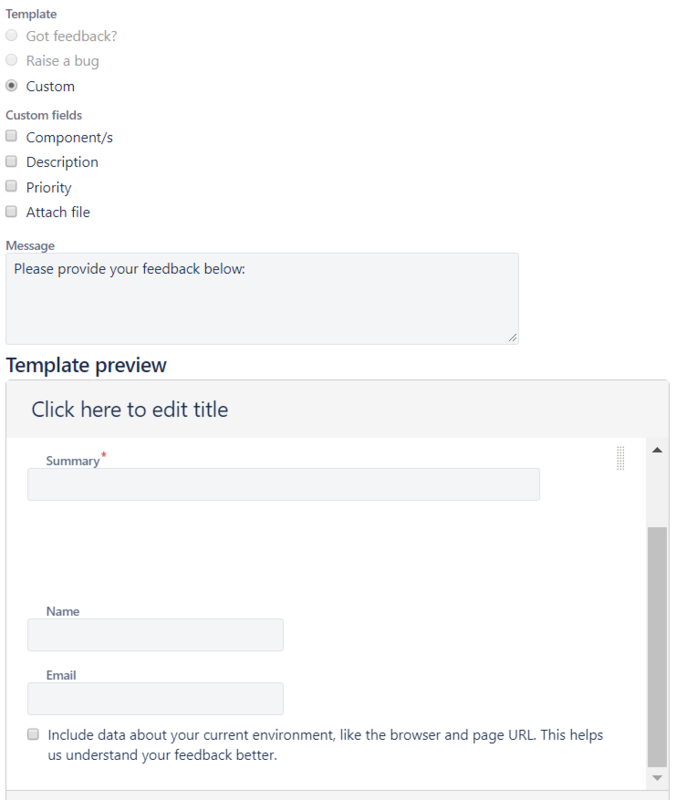 Issue collectors can be customized to pre-populate fields quite extensively, read more on Atlassians own documentation.